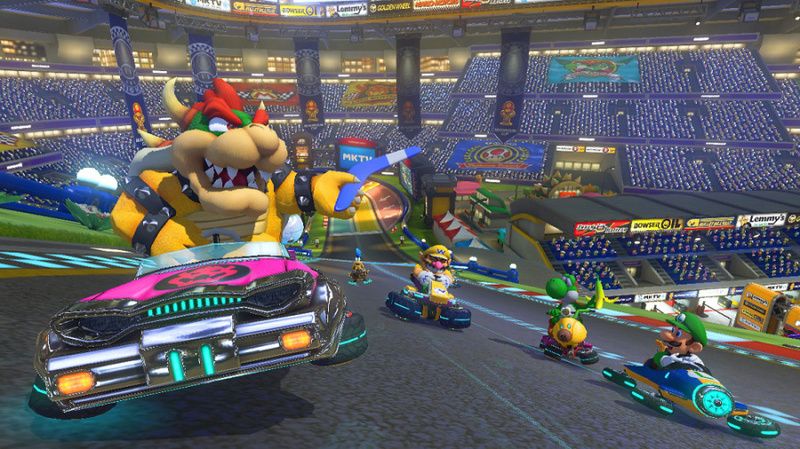 For Wii U owners this week is about one game, Mario Kart 8. A new arrival in the franchise is always an exciting occasion, and in some respects this entry takes the series forward in more ways than its predecessors — it brings HD visuals to the franchise for the first time, anti-gravity, enhanced online features and the ability to share highlights videos directly to YouTube. It's also been critically acclaimed, and far from being a minor upgrade on past entries we explained that it's an "experience undoubtedly evolved from its 3DS predecessor and rather different from the Wii entry" in our own review. The attention to detail shines through. A key figure in leading the development team to produce such a fresh experience is Nintendo Co., Ltd's Kosuke Yabuki, Director for Mario Kart 8 and most recently seen giving an impressive demonstration in the Mario Kart 8 Direct broadcast. We had the opportunity ask Yabuki-san a few questions about the latest entry ahead of its 30th May arrival. When development on Mario Kart 8 started, was it largely the same core team that produced Mario Kart 7 for 3DS? Yes, it was the same core team that produced the previous game. Of course the team was a little larger this time due to work on the HD element. 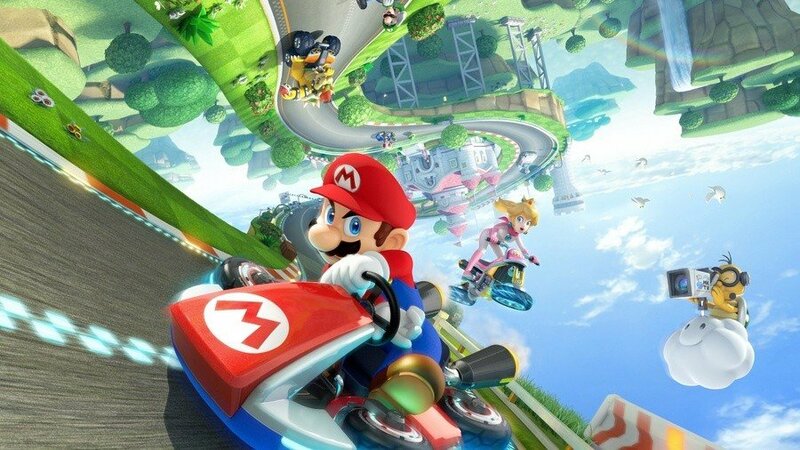 Being able to drive upside down is one of Mario Kart 8's most unique new features. How did the idea for anti-gravity racing come about, and why did you decide to add the "Spin Turbo"? In Mario Kart 7 we introduced dynamic gravity to handle sequences underwater or on the moon for example. As the idea developed, it led us on to rethink how we handle gravity in the first place and we eventually came up with the anti-gravity feature of Mario Kart 8. The Spin Turbo idea comes from Japanese spinning tops. We thought that the sight of spinning tops bumping into each other as they whirl around was perfect for the behaviour of karts in the anti-gravity areas. Players will need to come up with different strategies than those used for racing over normal track sections, so I’m sure that this will create situations never seen before. Keeping a 60fps frame rate in two player mode while having the best graphics possible was our aim from the start. Mario Kart 8 runs at 60fps in single and two-player mode. Was it a challenge maintaining this silky-smooth frame rate, given the amount of graphical detail present in the game? Keeping a 60fps frame rate in two player mode while having the best graphics possible was our aim from the start. This was a huge challenge, but we were able to pull it off thanks to all the team members sharing a common goal and working together with the utmost care. Thanks to this smooth frame rate, I feel we’ve been able to create a race experience that feels better the faster you go. Once you reach the goal, please do make sure to check out the race highlights that will automatically feature the greatest moments of the race. Seeing the race again from a different angle than usual will really let you enjoy the beautiful graphics of this title. You've opted not to include second-screen local multiplayer in the final game (one player on the TV, one solely on the GamePad) – can you tell us why that is the case? I thought that for Mario Kart, playing with someone else on the same big TV screen gives the game a more competitive feel. Because of this we decided to limit the local multiplayer to TV split screen, and had the development team focus their efforts on the graphics and 60fps frame rate. The online modes, including Tournaments, were recently revealed. What prompted this approach as opposed to the Communities from Mario Kart 7? As you will see when playing the game, the Tournaments in Mario Kart 8 are a further development of the Communities in Mario Kart 7. We decided to change the name to ‘Tournaments’ because now it’s possible to specify the dates on which players meet periodically to play, and each session has its own ranking. Mario Kart TV ties in very neatly with the current gaming craze of sharing your performances with other players. Do you think this feature will become an important part of the game's core appeal? Yes. Mario Kart TV is one of the important features of this game. It works together with Tournaments as well, so we really hope that many players make use of it. However, we’re not just thinking about the core appeal. I think that deep down everyone wants to keep a record of the times they spent having fun with family or friends. I also think that being able to watch these videos on a PC or smartphone will help make for some great memories of these moments. In developing Mario Kart 8, we have re-created and re-combined all game elements and adjusted everything over the course of thousands of tests to aim for the perfect balance. When picking the roster for the game, what new characters were you especially keen to include, and which ones were left out? The Koopalings in particular are some of the new characters that I recommend. For this game I wanted to have them all appear together. They all have superb individuality and their expressions are very unique. I think they are great characters that will definitely give players a laugh or two. On the other hand, there are some characters that appeared in previous Mario Kart titles, but unfortunately didn’t make it into this game, such as Bowser Jr., Dry Bones, King Boo, and Diddy Kong. I really apologise to players who liked these characters in particular, but the new characters are a lot of fun as well, so I hope you all try them out. Have you ever been tempted to take the Super Smash Bros. approach and include characters from outside of the Super Mario universe? We’re always considering ways to make the Mario Kart games more appealing, but I don’t think that just increasing the number of characters would make the game better. Of course, I’m not ruling out the possibility of such an approach in the future though. With the classic tracks, was it difficult to include these circuits given the game's focus on anti-gravity racing? How did you select which tracks to update? When talking about classic tracks, it’s tempting to think of them as just straight-up remakes. However, as the karts’ behaviour, the camera and the number of players now are different than when these tracks first came out, we had to re-design everything, including the track’s width and spatial layout. It’s after doing this that we add the anti-gravity areas to the tracks, but only where they would be effective. I think that the section where you race along the wall in N64 Toad’s Turnpike is a good example of that. Balancing is clearly vital in a Mario Kart title, so are there any particular adjustments you’ve made in that area in comparison to Mario Kart Wii and Mario Kart 7? Adjusting only a specific part of the game would break the overall balance. In developing Mario Kart 8, we have re-created and re-combined all game elements and adjusted everything over the course of thousands of tests to aim for the perfect balance. Were there any features that you wanted to include but had to leave out of the final game? No, there are no features that were left out from the final version. In fact, we kept tuning the game until the very end and in some cases we even added some things right in the final stages of development. I hope you will all enjoy Mario Kart 8, the latest and greatest addition to the Mario Kart series. We'd like to thank Kosuke Yabuki for his time, and Nintendo UK for arranging this interview; Mario Kart 8 hits the Wii U in Europe and North America on 30th May. Super Karting Bros. Make it happen. Hmm....They didn't ask anything about F-Zero's resemblance..... oh well. Another game, another hope. Nintendo NFC could work with Smash+Kart+ some kind of Infinity/skylanders game. That would be epic. They could create some amazing courses with other IPs like Kirby, Zelda, Metroid, Paper Mario, Animal Crossing etc. How does this game run on 4 player? Why did you not mention the 59fps that was found out lol. Oh man can not wait to play this. Did you guys left something out on the interview? Like maybe, will there be DLC? Or that's everything in it? Also, please correct your grammar. 'I've said' 'Release' and 'money'. Yup, I'm all kinds of villain today! @Mega719 No, no, no, no. Mario Kart belongs in the Mushroom Kingdom, Sonic and his cringeworthy buddies belong in his many non-tangible, frequently confused and mediocre worlds. Mario has a degree of class and quality to uphold- Sonic is enjoyable enough sometimes, sure, but he will never belong in as beloved and historic a game franchise as Mario Kart. Did you ask anything about potential dlc? 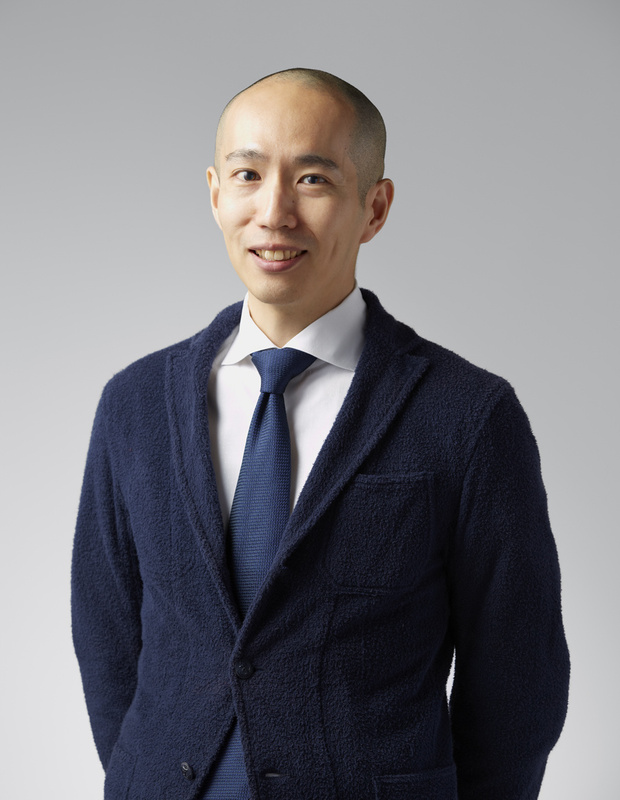 Hi guys - as I am sure you can appreciate Yabuki-san is a very busy man. We did have to limit this interview to a handful of questions which we felt were most relevant. I need to know if there will be DLCs before friday afternoon. @Volmun I'm sorry for being insensitive to your dyslexia man, hope you can understand my comment is intended in a lighthearted sense. No question about potential DLC? Hmm, curious. Of course I'll enjoy it! Keep the roster for the Mario universe only. There are still plenty of characters out there. Mouser anyone? @BLPs I enjoyed Sonic and All Stars Transformed, but compared even to MarioKart it is incredibly unbalanced and unfair, and many of the tracks are lacking a good sense of momentum and direction. Ultimately I just found it to be a little hollow. I actually enjoy that sense of restriction within the Mushroom Kingdom and Donkey Kong- it encourages true creativity and forces the developers to really flesh out the world in a way which adds to the Mario universe, rather than just random locations which can't be supported in a shared universe. I agree, it is definately a mixed bag of opinions! @ULTRA-64 Why did you cut out the bit about focusing on graphics and 60 fps? @BLPs Totally agree, generally can't stand FPS games. The grunt squad soldier simulator guff that's plagued the genre has pretty much put me off them for life. More fantasy FPS games like the N64 Turok series and I'd show interest. They just had to reboot Turok as..... a bloody squaddie. Was Enraged. Also, I firmly believe the mass use of the Unreal engine destroyed the FPS beyond repair. I want organic, singular game engines developed with care that are unique to each shooter, like the good old days. @Mega719 Or they chose not to ask or to answer due to the negative reaction to the Mario Golf DLC. (I find it hard to believe that anybody wouldn't ask that question first. Especially from this site with the articles they have been writing). I really feel like they DID keep out stuff, in particular the Battle Mode arenas. But whether they were left out or not, I just really hope they'll be added through DLC, because Battle just feels very bare-bones and very forced without them. Also, at least he recommended the Koopalings and not Baby Rosalina and PGP. How they ever got the idea to include these.. things in the first place is beyond me. Eugh. Nice interview otherwise! I'd be up for Super Smash Kart, but as for now I personally still prefer just good ol' MARIO Kart. I just can't see Link or Samus, or heck, Captain Falcon driving a kart all happy like, honestly. If they'd grab different characters from different universes like Smash, I'd like it to be more fast-paced racing game than karts, because it'd just seem weird otherwise. Of course, I'd like to be proven wrong here! but but the resolution question... lol. @Roadkill409 The track design in All Stars Racing Transformed is probably the best part of it. You need to actually learn the levels to win. Especially stuff like the Burning Rangers one. Plus when you have all the Stars and Unlock Ages's Console mod then playing online is fine. But there is still learning risk boosts which I haven't even started really. The Namco Mario Kart is probably better but I haven't played the latest one. @BLPs I've always been extremely uncomfortable with Videogames which glorify shooting other human beings. I couldn't believe Call of Duty was allowed to include that airport massacre scene. It didn't have a point to make, it was simply shock value and marketing. It was utterly disgraceful. Also glorifying casual, indiscriminate violence such as torture in a videogame is unacceptable to me, and completely unnecessary. But jeez, is it popular. Disturbing. Ill stick with games like Mario Kart, Zelda, Child of Light, Trine 2, Okami and other adventure, racing, RPG fun multiplayer games. All of which have more creativity and true escapism in 1 screen than all of CoD's series put together. Games should be a positive force in the world. The most violent I can go (just) is in the Assasins Creed games. Purely for the work that goes into creating the worlds of past times, I find it fascinating. My basic point is that if they want to sell the console as a powerhouse that looks amazing then they have failed already as although this game looks incredible, more will follow on other console's that look better, it's unavoidable and I don't mind that. So Nintendo need to compete in other aspects such as gameplay and inovation. So why, despite the fact that we will all love the game as it is, are they talking up the importance of graphics when that has been the very opposite strategy from day one with the Wii u concept?? Battle Mode Arena DLC please !?! @Roadkill409 I think that is why I have always been such a big fan of Nintendo hardware. I don't have kids (yet lol), but violent 'adult' Videogames have never interested me. GTA etc, the majority of people who I know who play those games play ONLY those games. Which isn't a gamer to me. I find it perplexing when these people, who buy every CoD and GTA release but nothing else, proclaim themselves 'mature' gamers! It leaves me positively aghast! Fact is, no Playstation or Xbox releases have made me want their consoles, for more than a decade- I'm just not their market. I love colourful, creative and exciting worlds that in reality I otherwise could not escape to and explore. I am however, frequently accused as being a fanboy by said 'mature gamers'. It continues to perplex me. I want to be able to share these fantastic experiences with my future children. I DO NOT want them to become desensitised to simulated human violence through Videogames. There is so much violence in the real world, we see it happening all over the world almost every day to people we don't know, and I would prefer my kids were appalled by, rather than numb and indifferent to a stranger's suffering. I love Nintendo games because, like reading to my future children, playing with them and generally enjoying life with them, I'll be able to explore these worlds and share something very special with them for a long, long time. Personally I've always seen Mario Kart as a love letter to the Mario series as a whole, and Smash Bros an ode to the worlds of Nintendo. Does it make sense for Samus and Link to be driving Karts? No. And would Smash Bros be as good with just Mario characters? Again, no. Both series are fine as is. No second screen multiplayer on the gamepad is a missed opportunity I feel, I would haved loved to play multiplayer on the second screen. Yes, it was the same core team that produced the previous game. That explains why all the worst elements from 7 are back then. @HappyMaskedGuy Not to sound like a jerk, but if you played MW2, you'd know the airport massacre was pretty important to the story. The scene was no different than many other rated R movies out there. I'm not saying COD is the best game out there, but don't judge a game before you play it. 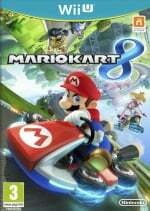 Nintendo Kart should become the next entry in the series or a Double Dash sequel. Where the roster from Smash bros races down tracks using the same items from SMASH!! TOTAL MAYHEM MADNESS. 2016? @NavySpheal I think there is a huge mistake made by many people when comparing violence in a movie to violence in a videogame. A videogame is an active participation simulation- I don't think that violent Videogames make people violent, not at all. But I am worried by the desensitisation it can create, and often, parents buy these games for their younger children without realising the serious nature/ content of them, because there is a very real problem of Videogames still being generalised by non-players as just 'toys'. I just don't see why we actually need these types of FPS? Regardless of story, the characters in the games have a total disregard for the rules of warfare, so it's not exactly making a valuable contribution to how we view war and how to avoid it. Nah, just torture some dude then blow his brains out. Doesn't matter, he's not real, no consequences. Maybe I'm coming across as a jerk here, because I can hear a collective of people groaning, 'Chill, it's just a game'- but that is just the problem. The CoD games market themselves as super realistic, yet paradoxically it is viewed as a 'toy' to the uninformed. This contradiction can be incredibly confusing, so much that it could ultimately hurt gaming's development as a thoughtful space for creativity. However, Suggesting an NWA album for their kids, or allowing them to go see the next SAW film would send 'em bananas in uproar, because everyone KNOWS how to view movies. They know where they stand. Also, movies stand completely seperately, they are not tied in to a particular media format, as games are. They are also non-participant in nature. I think there should be room for all types of Videogames, to support that artistic freedom. But FPS' have a stranglehold on the market which is, to me, a problem. As a gamer, I don't want to be prejudged as someone who enjoys pretending to shoot people. Wouldn't like to see a Smash Bros-esque Mario Kart at all to be honest. Should keep it in the Mario universe which it's much more suited to. Smash Bros crossover works; Link, Samus, etc. in combat, makes sense. Link, Samus, etc. in wacky go-kart racing, no thanks. I'm not interested in a smash bros kart. A Fzero game with the Metroid and Starfox universe on the other hand, COUNT ME IN! "Could you tell us what you were smoking when you cooked up the abominations Pink Gold Peach and Baby Rosalina?" @Dr_Corndog I wish Nintendo would ditch the baby thing. It's so out of hand I don't even think it's in their control anymore. It's gone Skynet. The babies are the future guys, accept it! @BLPs you're kidding me right? i played sonic all stars for 2 weeks and never touched it again, what's the point to get stars to unlock more when most of the last stages can't be beaten in A/S rank? I've had mkw for over 4 years and i still play it today, with 3 of my family members. I don´t get the problem with baby rosalina and pink gold peach. Baby rosalina was unavoidable from the moment baby daisy appeared in a game, she´s cute and there are a lot of rosalina fans out there. While pink gold peach is just a texture change (and stats I imagine) so it didn´t take much effort to make her, which means that she´s not actually taking the spot of other character, that would have taken more work and time. Unless that other character was gold mario, radioactive uranium luigi or wario man. Yoshi babysits all the babies. A hole is torn in the space time continuum. Yoshi and Bowser merge and are stretched into one giant, Lovecraftian horror of the stars, travelling back and forth through time, devouring planets. @Thecoolmana777 perhaps I just look for things to worry about lol. I suppose it's just not my kind of game. You are right, it is a safe medium of escapism to do things you couldn't otherwise do, and who knows, it may even be therapeutic in a bloodthirsty quenching frustration kind of way. Videogames need and deserve more study. There's some really interesting human insight to be found I'm sure! Like in the classic Twisted Metal games, the areas where you actually have room to roam around and hide around corners and outrun or out maneuver some of the heavier and better armed foes was what made them so fun. I'm actually optimistic about the revised battle mode, but I guess we all have to wait till Friday to see! @DestinyMan Link could ride in that train. I am sure NIntendo could think of something and the change would be worth it. I would rather have one great success even if to get that needs 3 failures. Only time I have ever got anything out of Mario Kart was local multiplayer where everybody has played it about the same amount of time. (i.e shared house or with my brothers for the first Mario Kart). Nintendolife's interviews are actually useful now that Iwata doesn't seem to do his interviews anymore..his last interview is from last year! Yes, I was outraged that this article continues to spread the lie of 60 fps! @ScorpionMG They can be beaten in A/S Rank and after doing it you get the best car to beat the staff ghosts with. (AGES's console mod). And after doing that you know the tracks well enough for online to be worth it. I hope Mario Kart 8 is better than Wii or I will be getting rid of it as soon as possible. @ULTRA-64 if you read the rest of the comment, they decided to focus on.60 fps and better graphics than adding dual screen multiplayer. I would have loved it, but I tried two player split screen in the demo and it was good. Although if they could have had it as an option where they keep 2 player split screen at 60 fps, add dual screen and 3 or 4 player split (plus dual) screen at 30 fps, then that would cater to everyone, but it just wouldn't be efficient. As long as the Super Smash Bros. Kart games are kept away from Mario Kart (so that Link isn't in Mario Kart and he's only in Super Smash Kart), I'll be fine with them. I really think Nintendo Kart is the logical next step. They could get super inventive with having Zelda, Star Fox and Metroid themed worlds and weapons. @NavySpheal they put in the airport massacre for shock value and then tried to build a story to support it. Spec Ops is one that has a great story and makes you question, where as that airport massacre had many laughing with glee and many feeling too uncomfortable to play it, with a few who got into the story and felt torn. I wish games that are that adult in nature would be legally restricted to adults only, as while mature people can enjoy.a good mature game, kids and adults who.are not mature enough or have particular problems can have real problems playing these games, and I wish parents who buy these games for their 11 and.13 year olds would be arrested. Gosh, believe it or not I didn't know the gamepad wasn't being used for local multiplayer. Way to make that compelling case for the gamepad Nintendo. Seems to indicate though that the WiiU just can't handle it. @DBPirate it could be the follow up game and use the same engine. Or they could let Sega make a Sega v Nintendo Kart game, with Nintendo letting them use some of their superior Mario Kart tech. @Action51 I'm also looking forward to the revised battle mode. It also makes me think of the classic game Destruction Derby, which had races as well as the arena battle, and also one of my all time favourite racing games, Carmageddon. @WillhamBoyGeniu because it is 60 fps. The issue is actually that every 64 frames you get a duplicate frame. Considering how many frames a.second it has, no-one has.noticed it with their eyes. Mario Kart should always remain Mario exclusive. I whole-heartedly support the idea of a 'Nintendo Land Racing' game though. It should be a celebration of everything Nintendo just like Smash Bros, and just like Sonic Allstars Racing is a great celebration of everything Sega. Calling it 'Nintendo Land Racing' would allow for all the different characters and would align it nicely with Nintendo Land, creating a Nintendo Land franchise/series that allows for mass cross overs etc.of Nintendo properties. Yeah, as long as it isn't like Mario Kart: Super Smash Edition and it's Super Smash Kart. Maybe Nintendo specifically limited the questions NL could ask, because battle mode omission is a big one and there was no direct question on this. It is only indirectly addressed in the last question and poorly answered. They always planned for battle mode to have no arenas? Shame. Everything else about the mode looks fun, but that seems like a glaring omission. @HappyMaskedGuy He also spelled 'Volume' wrong for his name, hehe. @ScorpionMG Personally, I liked World Tour mode; it gives a racing game more of a single player mode. There's just on large thing that the game does better than Mario Kart IMO. The feel while racing is incredible, it's like you actually feel it. When you go on a boost pad, the car actually tilts back while boosting, and not to mention the sense of speed. It all just feels more natural while driving. Mario Kart Wii felt very unnatural while driving, but I trust that Mario Kart 8 will feel much more natural. @Roadkill409 Man, I also think Racing Transformed is so much better than Mario Kart (probably until I try Mario Kart 8, who knows). As I mentioned to another user, the feel you get while racing is incredible, such as having your car tilt back while swooshing through boost pads, the speed, all of the mechanics. It's more in-depth with the World Tour, car ranking and leveling, stamps. Most courses are just so darn fun to race in. The switching of plane, kart, and boat is incredible. If there's one little detail I must share, it's that it feels incredible to race in Panzer Dragoon on the third lap, and have a big wave coming at you, making you jump high, and using the air time to make a ridiculous amount of flips. Transformed is my favourite racing game, and I pretty much only know about Sonic and I'm not a fan. Heck, I only played like 3 Sonic games. THAT'S how good the game is. @Tsuzura with four player split screen I believe it goes down to 30fps, not sure about online. Not asking about the duplicate frame issue or the choices for battle mode is a hugely missed opportunity. @Roadkill409 I grew up with the Gamecube and emulated DOS games for PC, so I grew up with Nintendo for the most part. So yeah, I unfortunately don't have that SEGA magic in me, but I still find it incredible to really enjoy SASRT without knowing much of the content. I do hope that SUMO makes another one, I would definitely buy it. It would be interesting to see what new stuff they'd have up their sleeve. 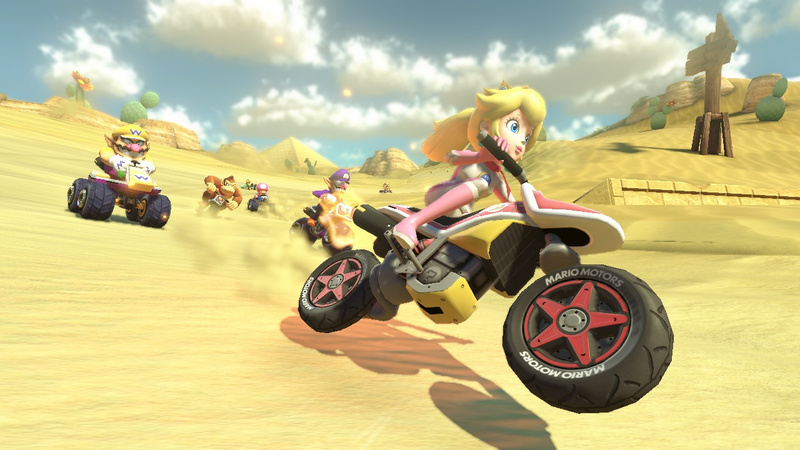 Yeah, Link, Samus, etc in a Mariokart could be fun. But at the same time it becomes more Super smash brothers this way, and I don't know if that's a good thing. Could give Super smash brothers less impact. But If they do it, don't putt them all in karts, but give Link Epona, Samus her starship, etc! but..... THE GAME IS AWESOME!!!! I thought that for Mario Kart, playing with someone else on the same big TV screen gives the game a more competitive feel. I want to thank all those over at Nintendo who keep reusing our voice work in new Nintendo titles and NOT paying a single dime. It's amazing that you can take all the work I did from one session for New Super Mario Brothers in 2009 and just keep cut-and-pasting it into 5 different games with no compensation or even thanks to the actors. Very classy. And it's certainly not insulting to the players who then get to hear the same 5 year-old stale clips over and over in new games they just paid $60+ to enjoy. So, nice work Kosuke Yabuki (and Nintendo). I sure hope no one takes your work and decides to not pay you fair compensation for it. For me, Sonic Racing Transformed took the crown from Mario Kart. It was great. HOWEVER, I'm pretty sure Mario Kart 8 is taking it back. I played it during the Gamestop demo event a week ago, and it's pure bliss on a disc. I also loved the 3rd lap of Panzer Dragoon stage in Sonic Transformed- what I hated was the awful framerate. Usually framerates don't bother me, but that game had some serious problems at times. Oh dear. The contract used the term 'in perpetuity', no doubt? It's becoming more and more common in the audio world. As someone who has been ripped off very badly by audio companies twice in the last two years, I can only say I feel for you and yes, it stinks to high heaven. Ya'll not ready for this game! Get at me RAFIE82 is my Nintendo ID. I'll be putting it on every MK8 article from this point on. I want some good racers to compete with. The only real question I want to know is what Nintendo's piss poor pathetic excuse for not having downloadable DLC race tracks is. Inconvenient and unfair? No... if they don't appear it's just plain simple laziness... bar none. Can't wait for this game! DLC would be the icing on the cake! Regardless of what this guy says, the game feels incomplete, otherwise we wouldnt be begging for DLC. No battle stages, no mission/challenge mode, no 2P gamepad, plus worst MK character roster ever... and he knows it. Who'd you voice? Just wondering since if I remember right Charles Martinet does Mario, Luigi, as well as Wario and Waluigi, which for your typical Mario game doesn't leave much else. The Mario doesn't age thing doesn't exactly help with that, since they don't need to re-record voices for characters who don't really change. That'd be their justification for it anyway. @JaxonH Yeah, I also feel that Mario Kart 8 will be better. As for the framerate in Transformed, I agree. The biggest frame drop is probably when you transform into the powerful mode with that star. @Zombie_Barioth - Iggy and Ludwig. And yes, you're right, because the characters just talk gibberish, Nintendo feels you, the audience, won't notice any difference. While this may or may not prove true, using the same audio for 5+ years certainly doesn't help any game feel new, or fresh. I feel bad for the buyers of Nintendo games mostly. And keep in mind, Nintendo is now a company struggling to keep relevant and afloat. Bad business ethics may have played a part in this, don't you think? @Frapp - It wasn't an "audio company" it was Nintendo directly. So, my contract was actually modified and I had already negotiated that none of my work could be used for consumer-facing commercials or promotions. A difficult process that we managed to get them to agree to. And back in 2009, us voice actors weren't worried that the exact same work would be used in new games because... well... what game developer would be silly enough to use the exact same audio for half a decade in different titles?! I mean, how insulting would that be to the game players who shell out $60 for a new game, right? But sadly, Nintendo seems to be built upon arrogance and greed with no appreciation for their own consumers. The fact that someone over at Nintendo will go to the trouble to update my IMDB profile to give me credit for the new titles suggests that 1.) they have some shred of respect for the craft of voice acting, 2.) they also like rubbing our faces in our loss of income with each new title they repurpose our work, and/or 3.) they're just loving silly people. I love voice acting in videogames, but the business side of videogames is a bit sad don't you think? Yep, the business side of everything is a bit sad, I've found. And the bigger the corporation, the worse it tends to get. Yabuki-san: "The Koopalings in particular are some of the new characters that I recommend." Wait...somebody from Nintendo still calls them the Koopalings instead of "Bowser's Minions"?! @Rafie I heed your call, man. I plan on getting the game so look for me. My Nintendo ID is Bx_Lounger. It wouldn't be the first time Nintendo has done this sort of thing. I doubt its intended to be malicious, just Nintendo pinching pennies. What would be a problem is if they do at least pay Charles Martinet but not others, that'd be a very clear misuse of their power. It doesn't work for most games because they really can't reuse voice work. Nintendo's games mostly use an assortment of grunts and groans, most other games need entirely new lines of dialog done.